Paranasal sinuses, artwork. The paranasal sinuses are spaces in the bones surrounding the eyes and nose, and the cheek bones of the upper jaw. They lighten the bones of the skull and reduce the weight of the head. They are connected to the nasal passages and are lined with mucous membranes. 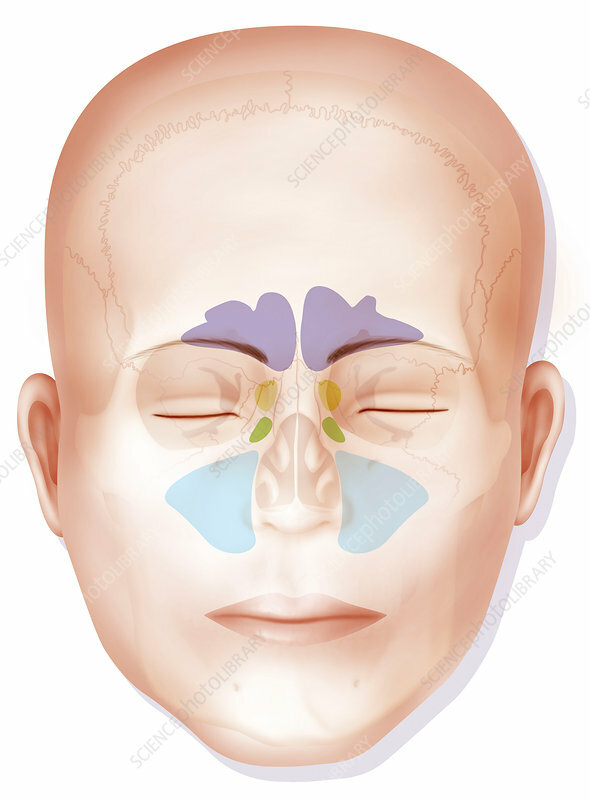 The paranasal sinuses are: the frontal sinus (purple, in forehead), the ethmoid sinus (yellow), the sphenoid sinus (green) and the maxillary sinus (light blue).